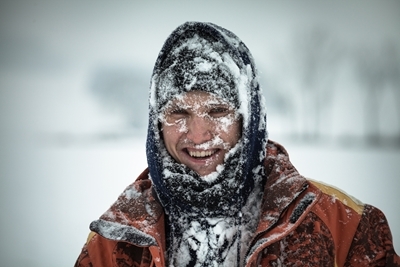 Hypothermia is one of the most serious perils you can face during a winter camping trip. According to the Mayo Clinic, once your body temperature drops below 95 F, entire organs or bodily systems can begin to shut down. Left untreated, this can result in heart failure. "Sweating too much can leave you chilled to the core." Cold weather can be enough to cause hypothermia, but if your body or clothes get wet, your risk increases considerably. For that reason, you need to do what you can to avoid getting wet. This means being careful around ice and water as well as wearing protective, weather-proof clothing. Importantly, work slowly when setting up camp or traveling, as sweating too much can leave you chilled to the core. Another major way to protect yourself from the elements is to be more methodical about setting up your campsite. Be mindful of the direction of the wind and try to place your tent in an area that is at least partially protected from an icy wind chill. Make sure you have the proper camping equipment,too. The Wild Country Duolite Tourer Tent is a good choice because it's designed to repel wet weather. Next, pack the snow before laying your tent down. This makes putting stakes in easier, and accidently stepping into soft snow could rip your tent. Consider where you will build a fire so you can safely warm yourself overnight. There are two main reasons why wool is such an important material for winter camping. First, it is surprisingly water resistant, and can be useful in a snow or ice storm. Second, wool is relatively safe when it comes to loose embers from a roaring campfire. A wool jacket or sweater will keep you safe from a number of elements. Gloves, hats and socks are crucial considerations. Not only should you take your time in selecting the right accessories, but it pays to bring extras. Your gloves could get wet while gathering firewood, or you could end up losing a hat, and in that instance, packing a few back-up items could make a big difference. The right camping equipment allows you to safely enjoy your winter adventure. Bring extra camping equipment is all about understanding how dangerous winter camping can really be. There is no reason to be stingy when it comes to packing the right gear or taking the time to protect yourself. Even in warmer climates, winter nights can see freezing temperatures. Use the most current weather forecast to understand what you'll be up against and do what you can to make sure you take steps to stay safe. 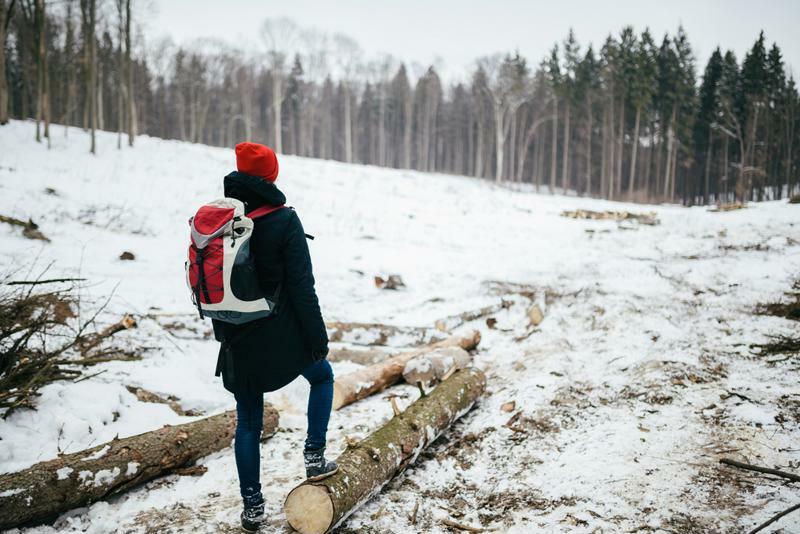 Having the right camping equipment also means packing a few survival items, and this is especially true during the winter. This starts by making sure you have a space blanket or sleeping bag in your car in case of an accident. A reusable fire starter, a good multi-tool and emergency rations are also wise investments. When it comes to winter camping, it's best to hope for the best but also plan for the worst. Because fire is such a critical tool for staying warm in the winter, you need to make sure you're prepared. Usually you'll want to keep a fire going overnight, because restarting a fire on a cold or wet morning can be frustrating and difficult. Especially in northern climates, a good rule to follow is once you think you have enough firewood, double or even triple your pile. It's not worth the risk of fumbling for more in the middle of the night. Some camping grounds will have restrictions on bringing in outside firewood, meaning you have to purchase or gather your entire stock once you arrive. Still, it isn't worth the risk to skimp out on this step.